1. Ana of California by Andi Tehran. Some of you might remember this was one of my top summer books on my TBR list. I'm so excited, because I just found out this morning that I won a copy from another blogger, Cassi from My Thoughts Literally! I can't wait to get this one in the mail. 2. 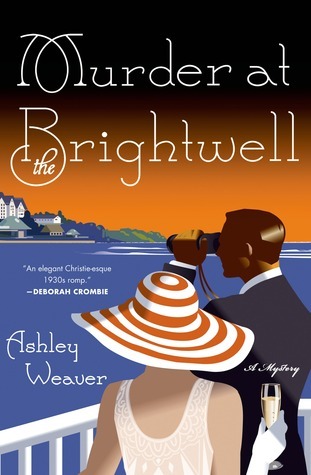 Murder at the Brightwell by Ashley Weaver. I found this one at a book store in Burlington, VT on a weekend trip a couple of months ago. The particular store I was in had a table full of ARCs that they were giving away for free, because, well, they can't sell them. I was pretty stoked to have snagged this one, because I knew it was shortlisted for the Edgar Award in the category of best debut. I'm hoping to get to it soon. 3. 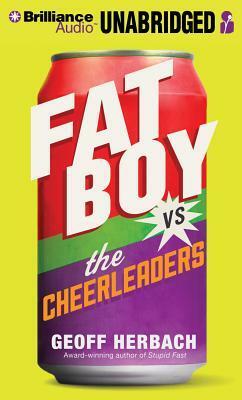 Fat Boy vs the Cheerleaders by Geoff Herbach. I got this one from the library. It's next up, because I'm feeling like it's time for a funny and possibly raucous YA book narrated by Nick Podehl. 4. Early One Morning – Virginia Baily. As Chiara Ravello is about to flee occupied Rome during WWII, she locks eyes with a woman who, with her family, is being herded onto a truck—and without thinking, she claims the woman’s son as her own. How intriguing does that sound?? 5. 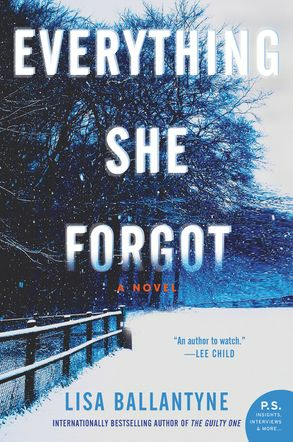 Everything She Forgot – Lisa Ballentyne. The “dark memories coming back” theme is really having a moment in lit these past couple years! This one sounds awesome. 6. 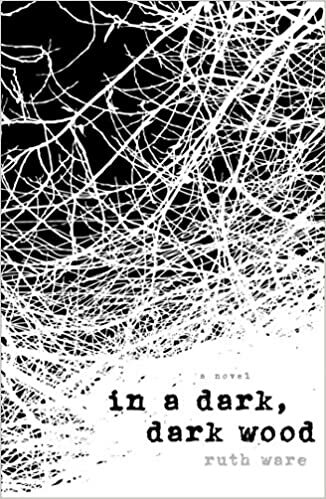 In A Dark, Dark Wood – Ruth Ware. I’ve actually already read this one and it was so good! I started it while I was in line for something or other at BEA (because really, the majority of what I did there was stand in lines, for serious) and finished it the next day and WOW, so good. But I’m still excited about it despite having read it already, so I’m counting it! 7. Watchman by Alan Moore - My friend from work lent this too me recently and I still haven't read it. So I should totally get on that. 8. 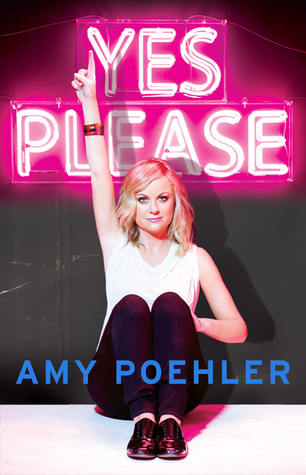 Yes Please by Amy Poehler: Just picked this up at the library from the interloan library program! YAY! 9. The Witches by Stacy Schiff: This just came in for review which is kind of surprising because mostly YA is what I get in the mail so it's always like WOAH when an adult novel shows up and even more WOAH when it's non-fiction. I'm so down. SALEM! 10. 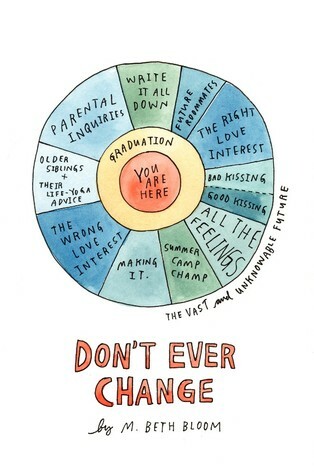 Don't Ever Change by Beth M. Bloom: This one came as a hardcover from Harper in the mail. The cover is beauteous! Yay for YES PLEASE! 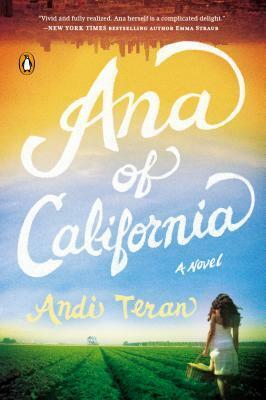 Ana of California is on my TBR stack - congrats on your win! Hope it meets your expectations. Thanks for this fun TTT topic! Wonderful list of books. I hope you enjoy reading them. In particular I've been eyeing that Amy Poehler book for some time! Thanks for the meme. It's great fun! I love the sound of Early One Morning, I'm a sucker for WW2 books. 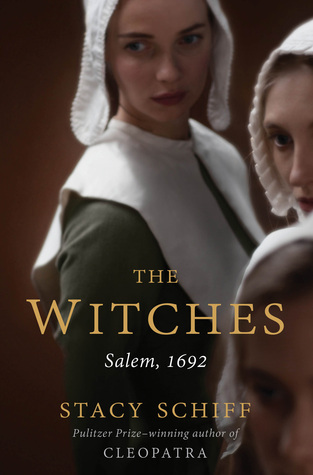 I am intrigued by The Witches, I have just finished reading The Crucible which is set in that time. There are some good ones here. I'm interested in Everything She Forgot, In A Dark Dark Wood, and The Witches. Enjoy!! 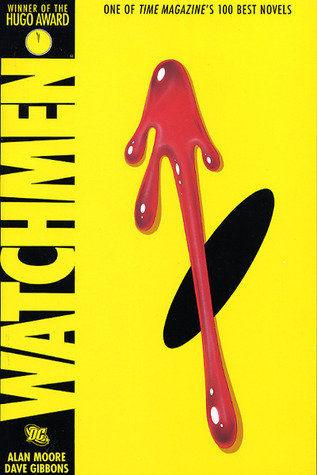 I really want to read Watchmen. I’ve heard so many good things about it. I just haven’t gotten to it yet. So many books, so little time. Wow, so many great books! THE WITCHES looks super good. I find the Salem Witch Trials so freaky and interesting. I want the Witches so badly! Very jealous!! Yes Please was also on my list, also from the inter-library loan! 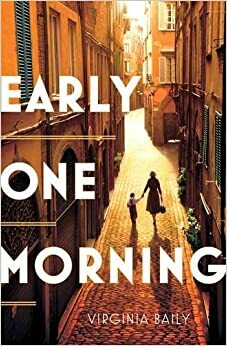 Also, Early One Morning's cover is gorgeous. Oh I would second you on every single one of these books! Great list. What a great topic. 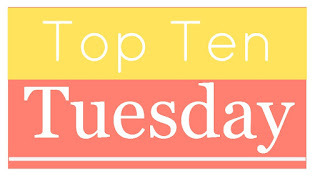 My Top Ten. I loved Murder at the Brightwell! Enjoy your reads! Watchmen is great! In a Dark, Dark, Wood looks really interesting! So many excellent choices on here and so many for me to add to my TBR pile. Great job. Do you prefer reading hardcovers or paperbacks?